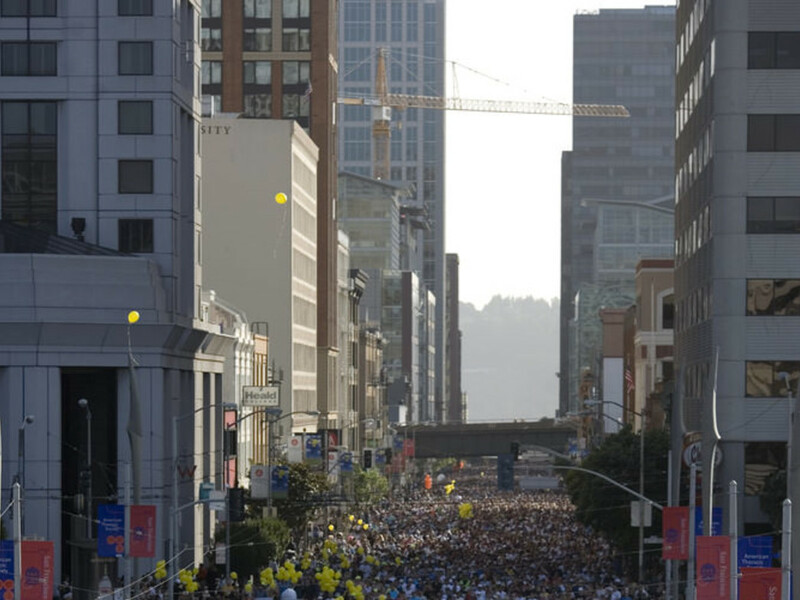 This weekend, thousands and thousands of people will run from the Bay to the Pacific Ocean across San Francisco. They’ll do it in costume. They’ll do it connected to each other by rope. Some will do it mildly inebriated; some will do it very inebriated. 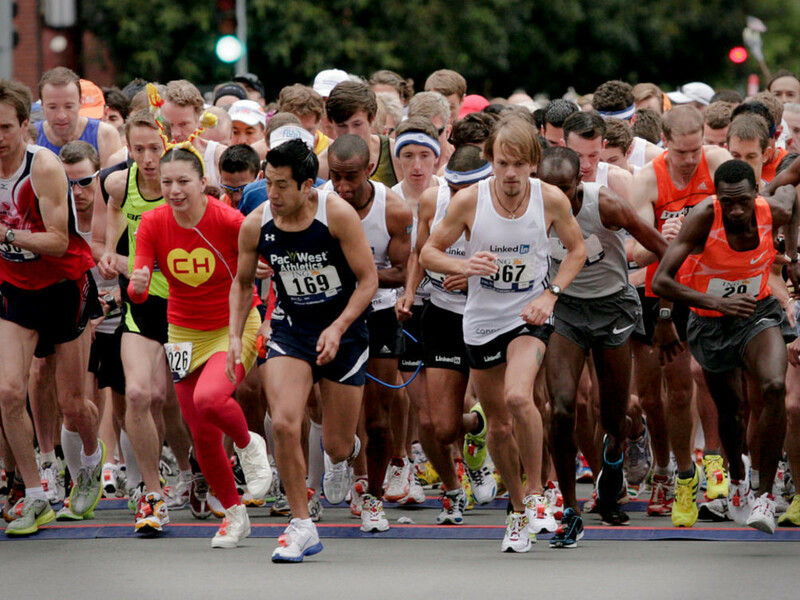 It’s the 103rd annual Bay to Breakers. 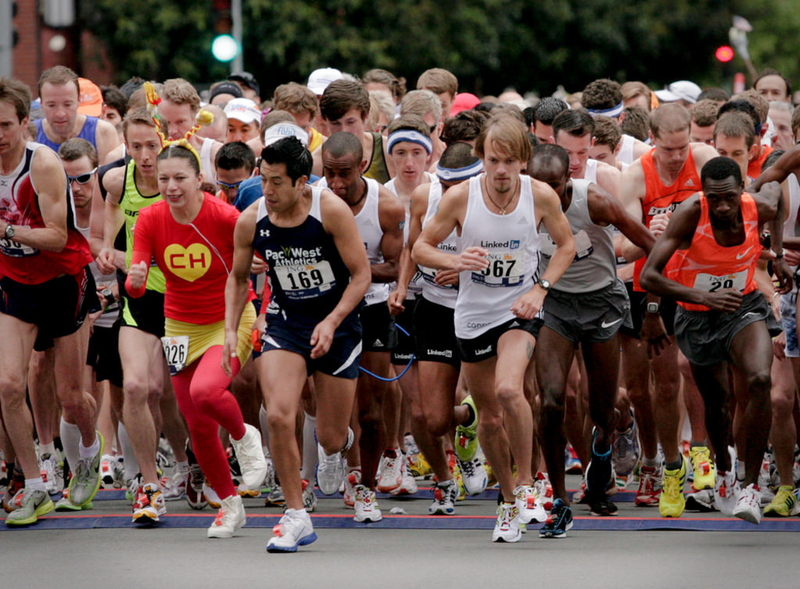 Bay to Breakers was first held on Jan. 1, 1912 as the Cross City Race. Originally, the goal of the event was to boost morale after the 1906 earthquake devastated San Francisco. The course has remained the same, though the date moved. And, today, it boosts morale through sheer craziness. In 1986, the race set a world record for the largest running event with 110,000 people participating – though only 76,000 runners were registered. The race now generally attracts 70,000-80,000 people, with a great many of those participants not actually registered in the event. (Conversely, in 1963, only 25 people registered). Over the years, the race, which covers a hilly 12-kilometer course, has developed into two races: one for elite runners setting some of the world’s fastest times in the 12k – though not official world records because of the point-to-point course – and one for everyone else. The race for everyone else has gotten at times, umm, a little out of control. Different traditions emerged through the decades. People ran naked. People ran with elaborate costumes or roller-skated while naked and wearing massive masks. People pulled along floats, which often carried beer kegs inside them. People threw tortillas in the air at the start. Every year, some people dressed as salmon and ran the opposite direction “upstream” from the breakers to the bay. In the most famous of the unique traditions that developed, people tied themselves together and ran the race as “centipedes.” Centipede racers , which originally got started by a group of men running for the UC David Aggies, now follow specific rules and compete in their own division. And, set very, very fast course records. In fact, a number of rules now govern the iconic race. In 2011, after years of complaints from residents about the sheer debauchery of it all, the race banned wheeled objects and floats. After the Boston Marathon bombings, more restrictions were placed on backpacks and bags. There were also crack downs on unregistered runners and alcohol. This year, the rules state a zero tolerance policy against alcohol and wheeled objects. “We haven't received a lot of push back. 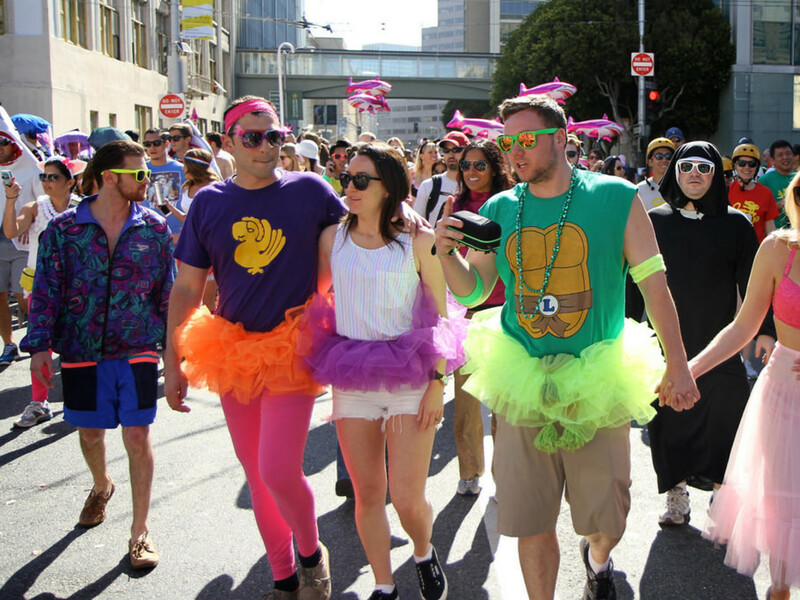 Our goal is to maintain the traditions and individual color of this beloved race,” says Heather Gibson, a manager with the Wasserman Media Group, which operates Bay to Breakers. With the whole city turning out, it still promises to be quite an event. Want to watch? (Or, want to steer clear?) Check out the course information and road closures. Want to run? Registration is still open.